Our project 'S House' is looking to use prefabricated off-site timber technology to transform a post war 1950's detached house in Cambridge. The new design embraces a large garden at the rear to form a modern, light filled, family living space at ground floor. An improved secondary entrance with associated bike storage, utility and cloakroom is to be created toward the front of the property. The limited rear access has generated a design made from a kit of parts which, once assembled, will both transform the house and inform the material qualities and character of the new additions. 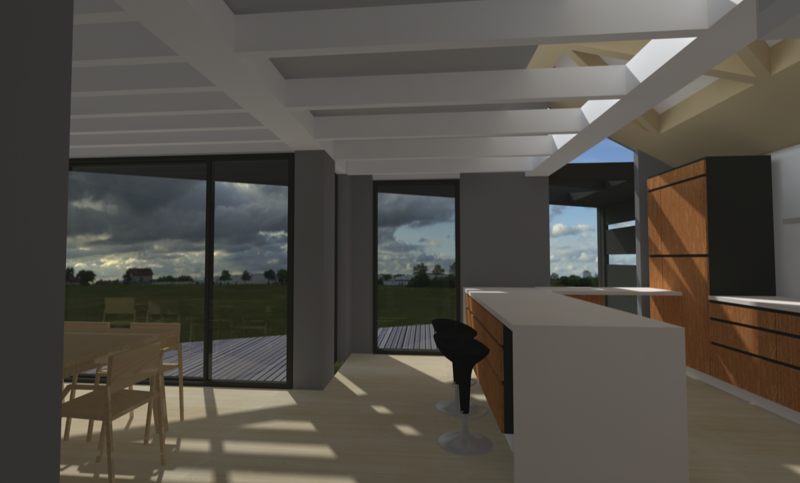 The design is still at an early stage (RIBA Stage 2), but already the client can start to envisage their new home - which in itself will raise more design questions and help the design to develop. 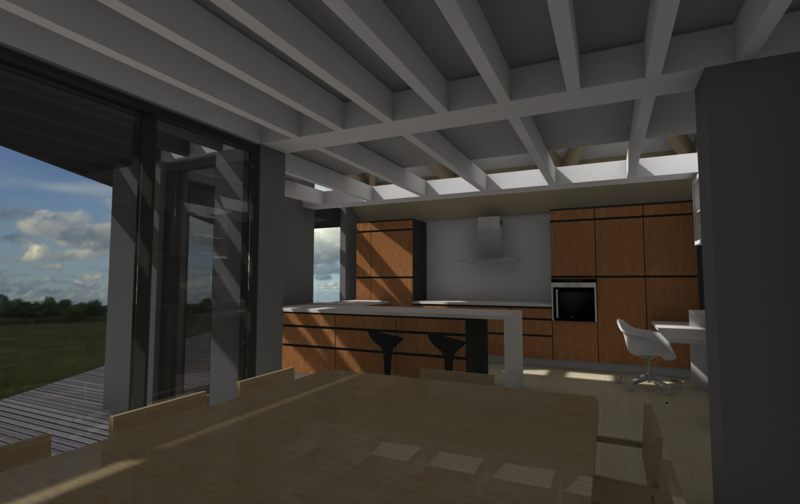 An integral part of our approach to the design uses parametric software to help clients envisage their new space and how it works with the existing layout. Once the basic principles of the project brief has been established and tested through sketches and plan layouts, we are able to start evolving the design, overlaying other design aspects that will effect the final outcome. 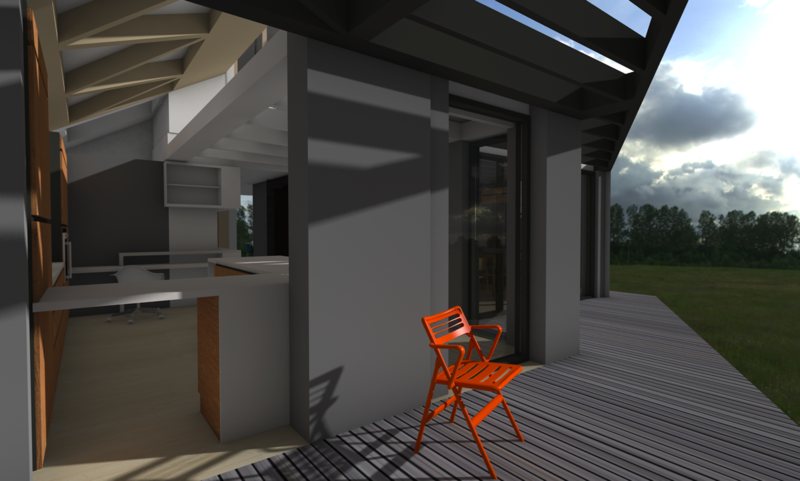 The model also allows us to test and reiterate the design to optimise natural daylight and solar energy benefits. This is undertaken in parallel with considerations of building construction, how it can be assembled and what it might cost. More important however, the client will be able to imagine what the spatial and material qualities of the space might be like. We're available to answer your questions at any time, whether they’re about setting up a project or you just want to chat. Shoot us an email via the contact form and I’ll get back to you as quickly as I can.